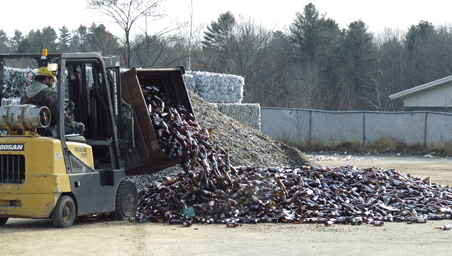 For the purpose of collecting commingled returnable containers and reducing the number of sorts for redemption centers, the major Maine beer and wine distributors have collectively formed the Maine Beer and Wine Commingling Group, LLC. Beginning in July 2004, this company has allowed approved redemption centers to commingle certain returnable containers distributed by its members. To discuss commingling options, or to find out about becoming a member of the commingling group, please contact one of your local distributors. Are you looking to see which distributor would pick up your returnables? Contact your local distributor. ©2019 Maine Beer & Wine Distributors . All Rights Reserved.